Really looking to stand out? Maybe it's time to flip the script. 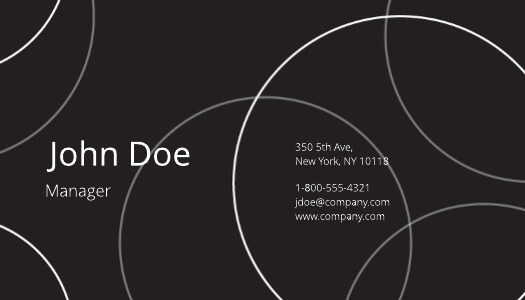 Normally, business cards feature black text printed on white cardstock—a fine, high-contrast choice that's served its purpose over the years. But if you really want to stand out from the crowd, maybe it's time to try the opposite. To go "negative," in a manner of speaking. 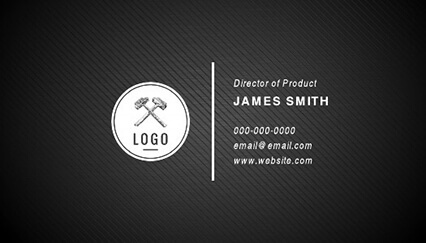 Our black business card templates are the easiest way to make the switch. The dark color scheme lends itself well to formality, and can be tailored toward elegance or masculinity. Design your own black business card today and see how it suits you.